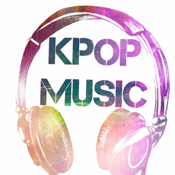 Hello, K-POP Music Lovers This is the app for you! Korean Top charts, K-Pop Song videos. K-Pop music charts are based on personal taste and are influenced a little by what are shown on weekly K-pop music shows such as Inkigayo, Music Bank, M!Countdown, Music Core and Show Champion; and Korean retail/online sales charts from Melon, Mnet, Billboard-K and Ga-On. Weekly charts are posted typically on Sunday/Monday of the week they are for and are based on an inverse point system (#1 gets 100 points...) developer also do monthly, quarterly, midyear and year end charts as well. - Best viewed in Wi-Fi/3G. In 2G or low bandwidth, low quality video will be played which might not be full screen.